Greek Underground Scene: The Thing From Another World: Supernerdmobile! The Thing From Another World: Supernerdmobile! Κυκλοφόρησε μαζί με το περιοδικό The Thing (τεύχος #18) και την Bad Elvis Records το 1997 σε CD. 10. Revellators - Earthshaker Yeah! 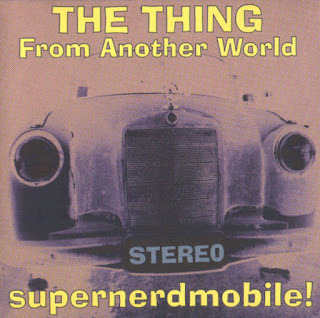 Download:  The Thing From Another World: Supernerdmobile! Labels: Bad Elvis Records, The Thing From Another World: Supernerdmobile!, The Thing Zine, VA, Συλλογές, Συλλογές "The Thing"